Occupational injuries account for many millions of working days lost each year in Britain. No matter whether your work is in the office or outside on the land you need to be able to cope with the individual demands made on your body by the style of work you do. Manual work inevitably carries the inherent risk of injury caused by heavy and often awkward lifting, overstretching, and periods of prolonged bending causing back and disc injuries, sciatica, and muscle strains. In the office where desk work is more common, there are the dangers of ‘computer hump’ and ‘mouse wrist’, whilst frequent telephone use affects the neck and shoulders causing headaches and carpal tunnel syndrome etc. Those who drive for a living need to be aware of their driving position as it affects not only their back, neck and shoulders but also can affect hips, knees and feet. Ask an osteopath for advice on the correct driving position for you and any exercises which may help. Going to an osteopath demonstrates to your boss that you are taking an active role in trying to improve your health and reduce your injury. The osteopath will help you look at the style of work you are undertaking and help you find ways of improving the situation and how to prevent a recurrence of your injuries. You will be treated and offered advice on posture and lifting. An osteopath can also provide you with a fit note. Osteopathic treatment will usually help to resolve work-related injuries earlier so that your workforce is more efficient and productive and it will reduce time off through ill-health. 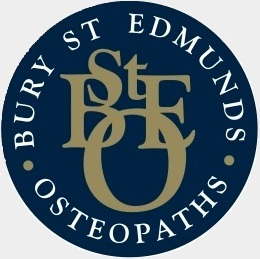 Some companies already benefit from using an osteopath as part of their care programme for employees thereby improving morale and increasing productivity. • Frequent short breaks away from the desk and computer will help avoid back, neck and eye strain. • Make sure if you are driving that you make time to stop, get out and do some brisk exercise for a few minutes every so often on a long journey. • When lifting at work judge whether you can do this safely or whether you need help. Never be afraid to ask for assistance. Having an Osteopath involved in your Staff Wellbeing Programme can lead to a fitter workforce, improved morale, increased productivity and less time off through ill health.